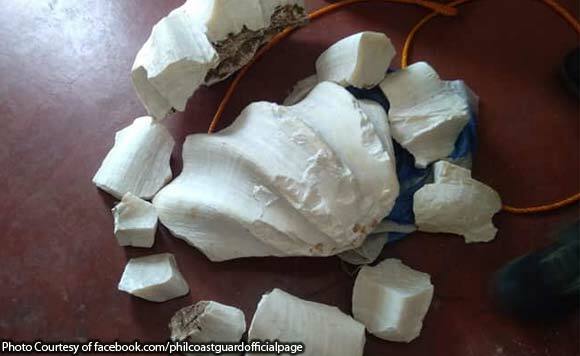 The Philippine Coast Guard (PCG) has confiscated two boxes of giant shells, also known as “Taklobo shells”, in Cagayan de Oro City. The Coast Guard Station Misamis Occidental personnel seized the shells, which are considered as endangered marine species, while conducting port security at Osamis Port in Cagayan de Oro Wednesday, February 6. The boxes weighing approximately 46 kilos were in the possession of certain Domingo E. Tolin, 28, and Ruby E. Regencia, 31, both residents of Barangay Bandera, Polanco, Zamboanga Del Norte. Tolin and Regencia were travelling from Zamboanga Del Norte bound to Cagayan de Oro. “The team coordinated with Bureau of Fisheries and Aquatic Resources (BFAR) Misamis Occidental personnel and confirmed that the shells are considered endangered marine species,” PCG said. The PCG turned over to BFAR personnel Tolin and Regencia, along with the confiscated items, for proper disposition and filing of case.